When your business adopts an ERP solution, there’s a lot to consider. It’s important not to forget building customer loyalty and delivering exceptional customer service. By empowering customers with a secure, flexible, and personalized self-service gateway you can ensure that your customers are well taken care of, so you can focus on running your business more efficiently. 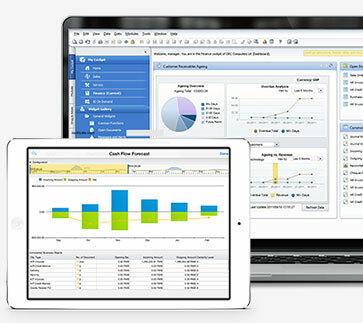 To that end Vision33 offers ERP users the Customer Portal. By pulling information from SAP Business One in real-time, customers have flexible access to billing, quotes, orders, service calls and reports. They can pay their bills online, look at their sales history, track deliveries, review quotes, check open service calls and view invoices, 24/7. Giving customers access to their account details gives them the ability to view reports on bill payments, recent orders and support requests. Customer Portals are extremely important in providing a satisfying customer experience. They allow you to better manage expectations by giving your customers access to their account, at all times. Decrease the amount of employee time spent on managing customer inquiries. Giving customers access to important account information via B2B Marketplace allows them to view reports, place orders, and manage payments. Reduce the amount of calls you need to address by clearly communicating personalized account information based on a customer’s record in SAP Business One. By providing customers with the tools they need to be more self-sufficient, you let them know you care and offer a shopping experience that is designed just for them. Who doesn’t want to make money past the usual 9-5 day? With B2B Marketplace, your customers can access your product catalogs, browse as they please, and place orders anytime they want. 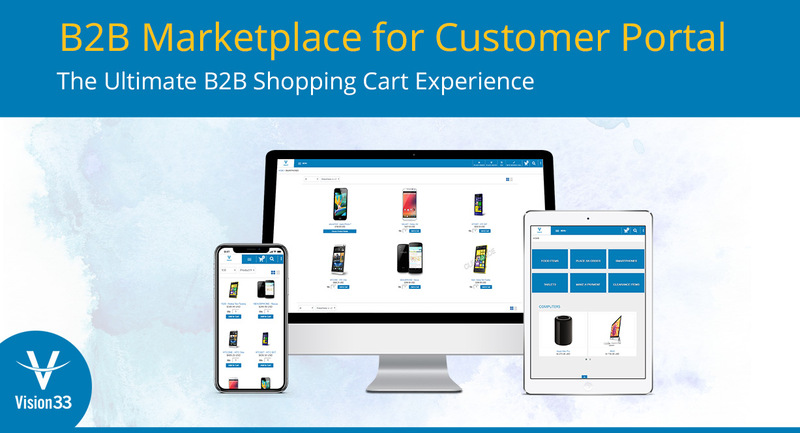 B2B Marketplace is a powerful extension for Customer Portal. Together your business can provide your customers with online access to order and account information they need in a familiar shopping cart format. To learn more, watch the recent webinar recording and see the portal in action.